The UK is beginning to realising the potential the NCAA has to offer. Katie had 10 offers and chose FGCU. From her promising start at Dover Life Guard Club as a brilliant age grouper Katie has risen through the ranks in the UK. Her last 3 years at Thanet Swim Club coached by David Whorlow certainly brought her to the fore with new heights in the pool. This bright hopefuls career includes todate multiple National medals and 4 times qualification to British Champs, including Olympic and Commonwealth trials. 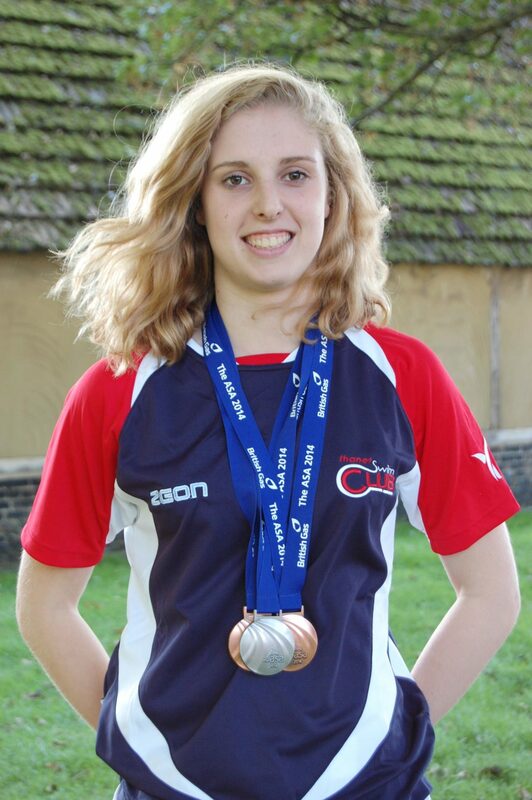 To represent GBR at the European Junior Champs in Poland 2014 is certainly her highlight. Coming home with a Silver and a Bronze is an excellent foundation in what Katie hopes will be just the start of her GBR aspirations. Katie’s current coach Dan Cross is delighted that her talents have been spotted and shares new coach at FGCU Neal Studds enthusiasm for this young swimmer’s bright future.